F.R. 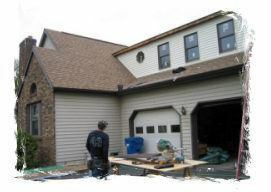 Kennedy & Son provides full service home and office construction and remodeling. In business since 1947, all work is guaranteed and fully insured. We are a member of the Albany Area Builders Association and Remodeler's Council. Our services include home remodeling and room additions, home painting, installation of windows and doors, roofing and gutters, siding, general carpentry (including porches, decks, and structural repairs), and complete handyman service. If you are looking for a remodeling contractor in the Albany area, please call us today at 518-432-9298 or complete our online request form.